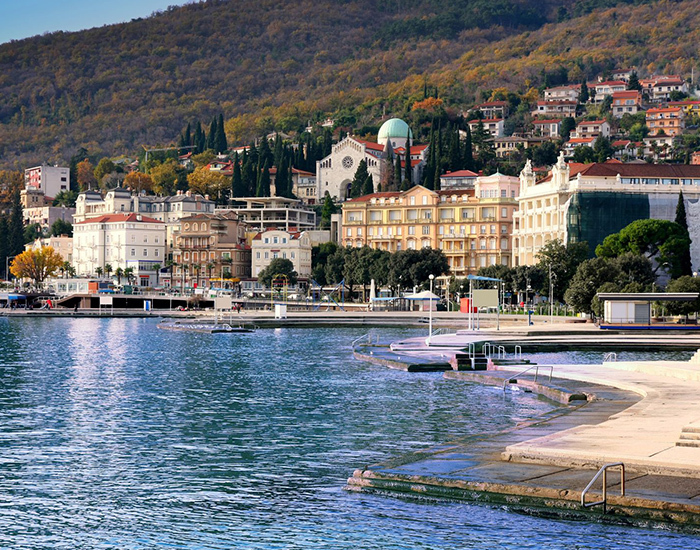 Opatija is situated in the Kvarner Bay where the Mediterranean cut deepest into the mainland of Central Europe at the foot of the mountain Učka. Discover this luxurious seaside town with a rich cultural heritage and the longest tradition of tourism in Croatia. Due to a very attractive geographical position and a pleasant climate it was a favorite holiday destination of the nobleman from the Austro-Hungarian monarchy. Opatija will delight you with its elegance, villas and parks as well as with the famous 12-km long coastal promenade known as the Lungomare.